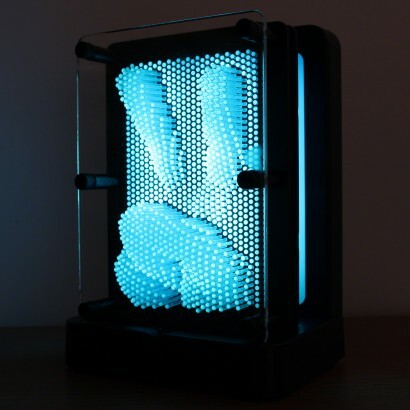 A retro desk toy with a glowing twist, the pin art desk top gadget that we all know and love from the 80's now comes lit with colourful LEDs! While away minute after minute as you create countless 3D images in the plastic pins of this nostalgic toy and then light it up with colourful LEDs. 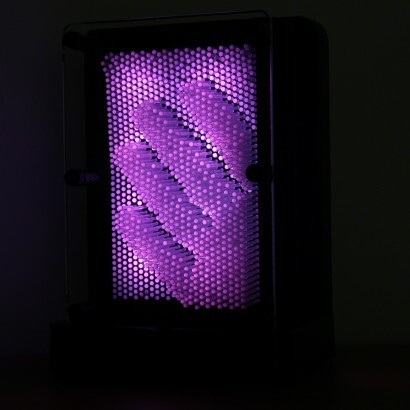 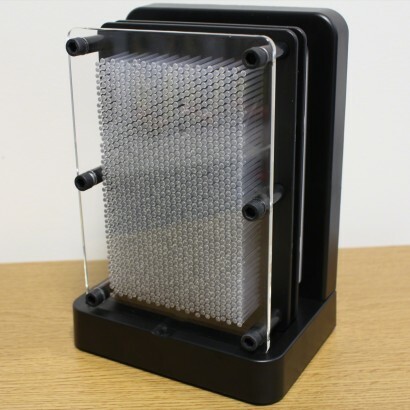 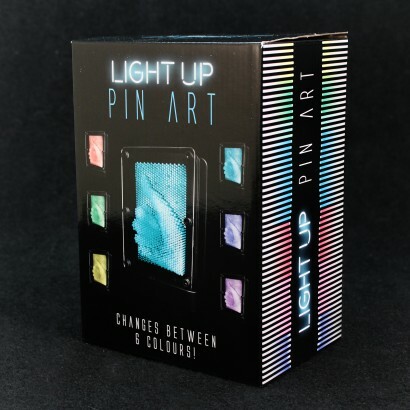 Place your pin art block onto the LED stand and your images will be illuminated with colour changing light turning your "pinpressions" into a glowing masterpiece! 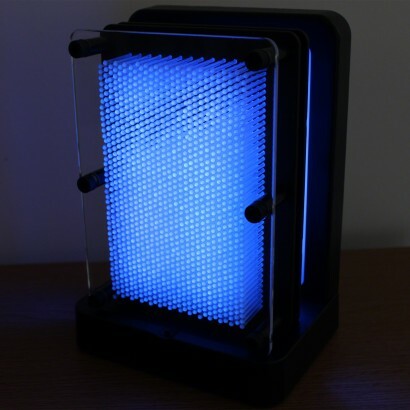 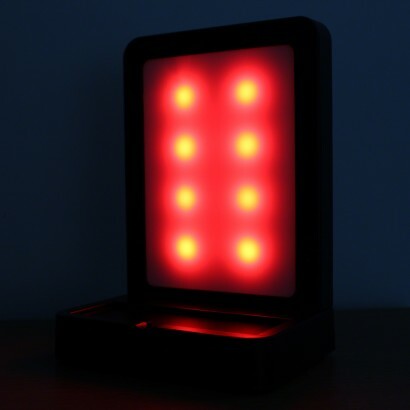 Enjoy continuous colour change effects or hold on your favourite colour turning this retro classic into a colourful mood light! 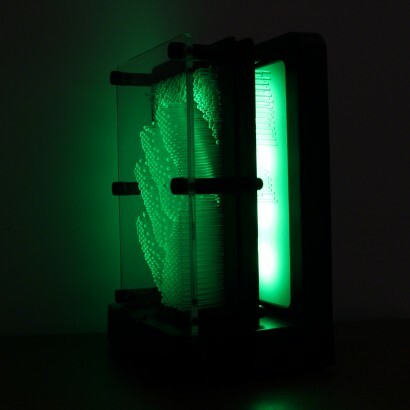 Light up base illuminates your "pinpressions"